Lee Kernaghan OAM (born 15 April 1964) is an Australian country music singer, songwriter and guitarist. 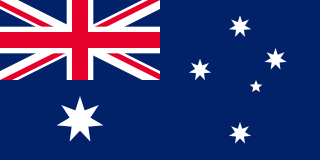 The Australian of the Year is an award conferred on an Australian citizen by the National Australia Day Council, a not-for-profit Australian Government–owned social enterprise. The son of country music singer and truck driver Ray Kernaghan, Lee Kernaghan was born in the Victorian town of Corryong and raised in southern New South Wales. Ray Kernaghan is an Australian country music artist. He is the father of country music artists Lee Kernaghan and Tania Kernaghan and married to Pam Kernaghan. Corryong is a small town in Victoria, Australia 120 kilometres (75 mi) east of Albury-Wodonga, near the upper reaches of the Murray River and close to the New South Wales border. At the 2016 census, Corryong had a population of 1,348. 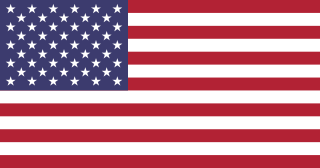 In 1986, Kernaghan travelled to the United States to represent Australia at the Nashville 'Fan Fair' country music festival. In 1993, his debut solo album The Outback Club won an ARIA award for Best Country Album and his hit single "Boys from the Bush" topped the Australian country music charts. The Australian Recording Industry Association Music Awards is an annual series of awards nights celebrating the Australian music industry, put on by the Australian Recording Industry Association (ARIA). The event has been held annually since 1987 and encompasses the general genre-specific and popular awards as well as Fine Arts Awards and Artisan Awards, Lifetime Achievement Awards and ARIA Hall of Fame – held separately from 2005 to 2010 but returned to the general ceremony in 2011. For 2010, ARIA introduced public voted awards for the first time. Kernaghan has dominated the charts with successive hit albums, including Outback Club, Three Chain Road, 1959, Hat Town, Electric Rodeo , The New Bush , Planet Country , Beautiful Noise and Spirit of the Anzacs . Kernaghan has made a huge impact on country music in Australia, creating a new musical landscape for the genre when he burst onto the scene. Electric Rodeo is the ninth studio album released by Australian country musician Lee Kernaghan. The album peaked at number five on the ARIA Charts and was certified platinum in 2003. The New Bush is the tenth studio album released by Australian Country Musician Lee Kernaghan. It got nominated for six Golden Guitar trophies, winning four at the Country Music Awards of Australia. The album peaked at number six on the ARIA Charts and was certified platinum. Planet Country is the twelfth studio album released by Australian country musician Lee Kernaghan. The album peaked at 13 on the ARIA Charts. The power of the letters affected him deeply and the experience at the Australian War Memorial that day was the catalyst that saw these letters put to music in what would become his most recent album, Spirit of the Anzacs. 2015 also saw the release of Kernaghan's first book, The Boy from the Bush, These Are My Songs, These Are My Stories. Kernaghan closed out 2015 with a national tour called The Songs and the Stories in Concert. Fittingly, the tour covered elements of the book and also featured songs from Spirit of the Anzacs. He is the father of two sons  . Kernaghan has won four ARIA Awards and three APRA Awards, and has been nominated in award categories numerous times. As of 2015, Kernaghan has had 33 #1 hits on the Australian country charts, and has sold over two million albums. He was named "Hit Maker of the Decade" twice, in 2001 and 2011. This title goes to country artists from anywhere in the world who achieves the most amount of hits in the Australian market over the past decade. He has sold over two million albums, and won 36 Golden Guitars at the Country Music Awards of Australia (second to Slim Dusty). In 2008, he was Australian of the Year,  in recognition for his support of rural and regional Australia; his 'Pass the Hat Around' tours have raised more than a million dollars for rural communities during a challenging period of drought. He was presented with the award by Prime Minister Kevin Rudd. During July 2015, Kernaghan's music was played at anti-Islam rallies in Australia, without his permission. He responded that the use of his work should be "consistent with – and respectful of, the memory of ... [soldiers who] laid down their lives for the freedoms we have today." Fellow local artists, Jimmy Barnes, John Farnham and Mark Seymour, objected to the use of their material at those rallies. 1986 – "Back to Strangers"
1993 "Boys from the Bush" "Boys from the Bush"
"She's My Ute" "She's My Ute"
"Leave Him in the Longyard"
1995 "Country Crowd" "Country Crowd"
"The Rope That Pulls the Wind"
1997 "This Is the Outback" "This Is the Outback"
2009 "Planet Country"  "Planet Country"
2010 iTunes Live EP   "Planet Country"
2012 "Beautiful Noise"  "Beautiful Noise"
2016 "Spirit of the Anzacs"
The Music For A New Generation Awards are run by the Planet Country with Big Stu & MJ radio program and celebrate crossover country artist efforts each year. The awards have featured fan voting since 2016. 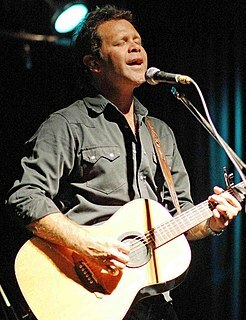 Troy Cassar-Daley is a country musician from New South Wales, Australia. Gina Jeffreys is an Australian country singer-songwriter. She was born on 1 April 1968 at Toowoomba, Queensland. Tania Maree Kernaghan is an Australian country music singer. Adam Brand is an Australian country musician. Brand released his debut album in 1997. He has since released 14 studio albums and has won 12 Country Music Awards of Australia. Spirit of the Bush is the eleventh studio album released by Australian country musician Lee Kernaghan. The album peaked at number five on the ARIA Charts. The album features seven new recordings including John Schumann’s track, "I Was Only 19 " and Peter Allen’s "Tenterfield Saddler". The album was certified platinum in 2009. Ultimate Hits is a greatest hits album by Australian country musician Lee Kernaghan. It was released in September 2011, peaked at No.8 on the ARIA chart and was certified Gold in 2013. The Outback Club is the third studio album by Australian country musician Lee Kernaghan. It won "Best Country Album" at the ARIA Music Awards of 1993. Three Chain Road is the fourth studio album by Australian country musician Lee Kernaghan. It won "Best Country Album" at the ARIA Music Awards of 1994. It was certified 2x platinum in 1998. The track Three Chain Road includes the line "He lived out on the Three Chain Road"
Beautiful Noise is the thirteenth studio album released by Australian Country Musician, Lee Kernaghan. 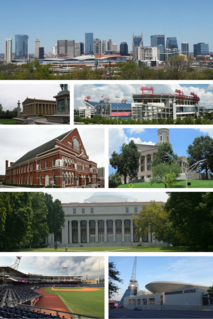 The album was recorded over 2 years in Sydney and Nashville and was released on 19 October 2012. The album peaked at 9 on the ARIA Charts in November 2012 and was certified gold in 2013. "Spirit of the Anzacs" is the first single from Lee Kernaghan's 2015 album of the same name. The charity single features Guy Sebastian, Sheppard, Jon Stevens, Jessica Mauboy, Shannon Noll and Megan Washington. It was released on 22 January 2015 to raise funds for Legacy and Soldier On. "Spirit of the Anzacs" is the first taste of an album that has brought soldiers' letters to life in song. The project was inspired by Kernaghan's 2014 visit to the Australian War Memorial when he was shown archives of soldiers letters to family from the front lines. "Spirit of the Anzacs" is based on Paul Keating's 1993 eulogy at the interment of the Unknown Soldier, one of Australia's most iconic speeches. Kernaghan said the song was inspired by Keating's immortal words, "He is all of them. And he is one of us." Spirit of the Anzacs is the fifteenth studio album by Australian country singer Lee Kernaghan. It was released digitally and physically in Australia on March 13, 2015 through ABC Music. A limited deluxe edition features four additional tracks plus a 64-page booklet that includes many of the letters, stories and images behind the songs. It is Kernaghan's first number one album in Australia and has been certified Platinum by ARIA. The discography of Australian indie pop band Sheppard consists of two studio albums, two extended plays, sixteen singles and thirteen music videos. The Big Ones: Greatest Hits Vol. 1 is the first greatest hits album released by Australian country musician Lee Kernaghan. The album debuted and peaked on the ARIA Charts at number 16. The album was certified platinum in 2007. Rules of the Road is the eighth studio album released by Australian Country Musician Lee Kernaghan. The album peaked at 16 on the ARIA Charts in February 2000. The album was certified gold. 1959 is the fifth studio album by Australian country musician Lee Kernaghan and was Kernaghan's first top ten album. It was nominated for the "Best Country Album" at the ARIA Music Awards of 1996. It was certified platinum in 1996 and won "Album of the Year" at the 1996 Country Music Awards of Australia. Hat Town is the sixth studio album by Australian country musician Lee Kernaghan and was Kernaghan’s second top ten album. It was certified platinum in 1999and won ‘’Album of the Year’’ at the 1999 Country Music Awards of Australia. "Spirit of the Bush" is a song by Australian Lee Kernaghan featuring Adam Brand and Steve Forde and released as a single from Kernaghan's studio album of the same name. The song peaked at number 11 on the ARIA Charts, becoming all three artists' highest charting single. Pete Drummond is an Australian session drummer, composer, producer, multi-instrumentalist, and educator who has developed a digital platform for drum lessons. Since 2006, Pete has been associated with Australian band Dragon. He is known for his soundtrack work on The Killing Season (ABC), Living Universe ; Search For Second Earth (ABC/BBC), and for his live solo performances alongside Virgil Donati, Thomas Lang, Mike Mangini, Dave Weckl, and many others. ↑ "Kernaghan. Lee". 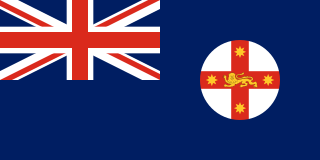 Music Australia. National Library of Australia. Retrieved 16 October 2009. ↑ "Lee Kernaghan | Official Website| Tamworth Country Music Festival". www.tcmf.com.au. Archived from the original on 22 December 2015. Retrieved 14 December 2015. ↑ "Lee Kernaghan - "Outstanding Achievement Award" for Spirit of the Anzacs | Australian War Memorial". 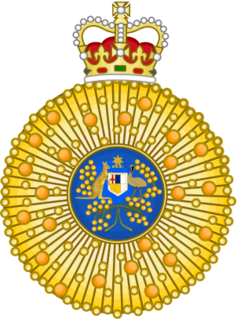 www.awm.gov.au. Retrieved 2015-12-14. 1 2 3 "ARIAs: Lee Kernaghan wins achievement award". www.skynews.com.au. Retrieved 2015-12-14. ↑ "Hot in pink Robby X hits Top 30". 2014-11-19. ↑ "KERNAGHAN, Lee Raymond OAM". It's an Honour. Department of the Prime Minister and Cabinet. Retrieved 16 October 2009. ↑ "Lee Kernaghan named Australian of the Year". The Australian. 25 January 2008. Archived from the original on 3 October 2009. Retrieved 16 October 2009. ↑ "Australian of the Year Awards". www.australianoftheyear.org.au. Retrieved 2015-12-14. ↑ "Roll of Renown". TCMF. Archived from the original on 21 August 2018. Retrieved 21 August 2018. ↑ (staff writer) (24 July 2015). "Lee Kernaghan Sits on Fence Over Reclaim Australia Use of Song". themusic.com.au. Retrieved 2 July 2016. 1 2 Vincent, Peter (24 July 2015). "As Midnight Oil Demands Reclaim Australia Stop Playing Songs, Lee Kernaghan Refuses". The Sydney Morning Herald . Retrieved 2 July 2016. 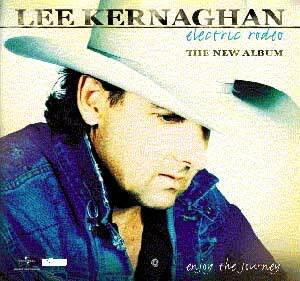 ↑ "australian-charts.com – Discography Lee Kernaghan". Hung Medien. Retrieved 10 April 2017. ↑ "The Outback Club by Lee Kernaghan". www.leekernaghan.com. Retrieved 19 January 2016. ↑ "ARIA album accreditations 1998". www.aria.com.au. Retrieved 19 January 2016. ↑ "1959: Lee Kernaghan". www.leekernaghan.com. Retrieved 19 January 2016. ↑ "ARIA album accreditations 1999". www.aria.com.au. Retrieved 19 January 2016. ↑ "ARIA album accreditations 2000". www.aria.com.au. Retrieved 19 January 2016. ↑ "ARIA album accreditations 2009". www.aria.com.au. Retrieved 19 January 2016. ↑ "ARIA album accreditations 2013". www.aria.com.au. Retrieved 19 January 2016. ↑ "ARIA album accreditations 2015". www.aria.com.au. Archived from the original on 25 May 2015. Retrieved 19 January 2016. ↑ "ARIA Australian Top 40 Country Albums". Australian Recording Industry Association. 3 April 2017. Retrieved 1 April 2017. ↑ "Country Songs Top 40 Australian Airplay Chart". ↑ McCabe, Kathy (23 January 2015). "Lee Kernaghan enlists Sheppard, Jessica Mauboy and Guy Sebastian for Spirit of the Anzacs single". News.com.au . News Corp Australia . Retrieved 23 January 2015. ↑ "iTunes – Music – Spirit of the Anzacs (feat. Guy Sebastian, Sheppard, Jon Stevens, Jessica Mauboy, Shannon Noll & Megan Washington) – Single". iTunes Store (Australia). Apple . Retrieved 23 January 2015. ↑ Lee Kernaghan – Spirit of the Anzacs (Official Music Video). YouTube. 26 February 2015. Retrieved 28 February 2015. ↑ "ARIA Awards Search Results - Lee Kernaghan". ARIA Awards. www.ariaawards.com.au. 6 March 2015. Retrieved 6 March 2015. ↑ "Country Work of the Year". Australasian Performing Right Association (APRA) | Australasian Mechanical Copyright Owners Society (AMCOS). 2014. Retrieved 5 March 2016. ↑ Kernaghan buys Great Western pub, Chris Lawson, Queensland Country Hour , ABC Rural, 9 April 2003. Retrieved 23 March 2017. ↑ Boy from the bush buys QLD pub, National Rural News, ABC Rural, 9 April 2003. Retrieved 23 March 2017. ↑ Country music legend Lee Kernaghan returns to 'second home', Michelle Gately, The Morning Bulletin , 7 May 2015. Retrieved 23 March 2017.